I received an e-galley of this book through blogging for books in exchange for an honest review. 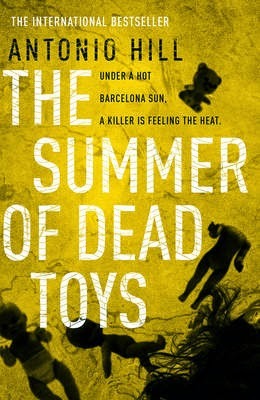 Synopsis: Argentine native Inspector Héctor Salgado is one of Barcelona's leading criminal detectives. After a stint on probation—he assaulted a suspect from a human-trafficking case—Salgado is back in the office and eager for something major. To his dismay, he's assigned to a routine accidental death instead: a college student fell from a balcony in one of Barcelona’s ritzier neighborhoods. But as Salgado pieces together details from the victim's the life, he realizes that his death was not all that simple: his teenage friends are clearly hiding something and drugs might be involved. Salgado follows a trail that will lead him deep into the underbelly of Barcelona’s high society, where he’ll confront dangerous criminals, long-buried secrets, and, strangely, his own past. But Salgado thrives on pressure, and he lives for this kind of case—dark, violent, and seemingly unsolvable. 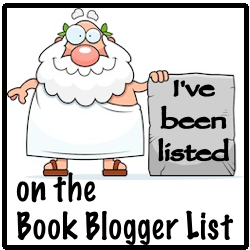 Review: I love love loved this book. I didn't have high hope after getting two books from Blogging For Books that I wasn't so thrilled with but this one didn't disappoint. From the very first page every motion was well crafted and thought out. I can usually figure out who ultimately was responsible for things but this book totally kept me guessing, even during the final unraveling and reveal I found that I was off the mark. Salgado is a broken man, his wife left him for another woman, and he is on probation from work for assaulting a voodoo doctor who was involved in a human trafficking. Upon returning he is given the assignment to unofficially look into what seems to be an accidental death or suicide of a young boy of privilege. The further they investigate the more they uncover and this death is anything but routine. In the meantime the man who Salgado assaulted has gone missing. There are many different story lines in this book but they all converge in the end to a mostly satisfying conclusion. I found the characters to be realistic with all their flaws and insecurities, it left me wanting to know more about each of the main characters. Even the descriptions of those involved in the cases were sympathetic in their own way. Even when they were a bit despicable you could feel some type of compassion for them. If you like a well written thrill pick up something by Antonio Hill.